Anyone else love the idea of reflecting back and looking ahead? When you have lofty goals and are not quite sure how to reach them, I’m finding it helps to look at how far you’ve come over a specific amount of time. 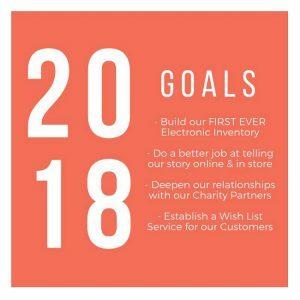 We are dreaming and believing big things for Good Deed Goods in 2019 and beyond, but there are many times that our goals seem so far out of reach. Being that we’re only 25 days into 2019, we definitely need to develop a bit more resilience. Preaching to myself here. In 2018, we made some GOOD progress. We are further along than we were a year ago and that is worth celebrating and being thankful for. 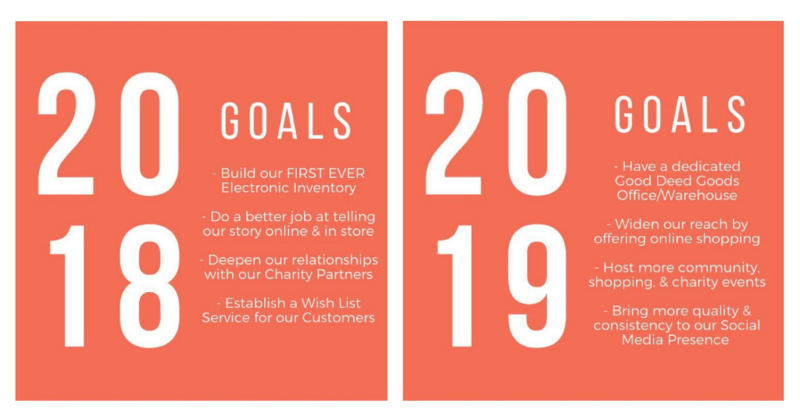 Looking ahead at 2019, we have a GOOD vision & and a GOOD list of goals to move us forward toward the destination we have on the horizon. This is the truth that will play on repeat and sustain us in the midst of the small tasks each day requires. 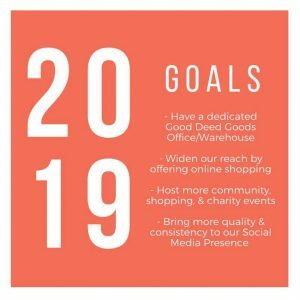 We will trust that those small tasks will amount to big impact and goals reached, that our efforts will be blessed in 2019. The GOOD Life indeed.